South Korea and the United States signed a deal on Friday that would increase Seoul's financial contribution for the deployment of U.S. troops in the Asian country. After rounds of failed negotiations, chief delegates from the two countries last month agreed on Seoul paying about 1.04 trillion won ($924 million US) in 2019 for the U.S. military presence, up from about $830 million last year. 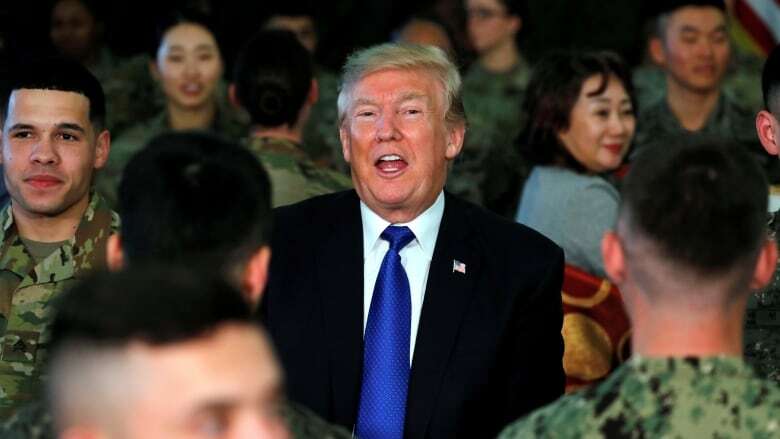 President Donald Trump had pressured Seoul to increase its share, triggering worries in South Korea that he might withdraw some of the 28,500 U.S. troops there if Seoul refused to accept his demand. Seoul's foreign ministry said in a statement the deal is expected to provide a "stable environment" for the U.S. troop deployment and help strengthen the alliance between the two countries. The deal, which involves spending taxpayer money, requires parliamentary approval in South Korea, but not in the U.S. The deal will likely easily pass through South Korea's parliament, as the main conservative opposition party highly values a stronger alliance with the U.S. The deal's signing came days after the two countries eliminated their huge springtime military drills and replaced them with smaller training to back diplomatic efforts to strip North Korea of its nuclear weapons. Many experts in South Korea said the moves would likely weaken the allies' military readiness in the event that diplomacy fails and tensions with North Korea flare again. North Korea's state media on Friday acknowledged for the first time that the summit between Trump and Kim Jong-un last week in Vietnam ended without an agreement. But the Rodong Sinmun, which primarily targets the domestic audience, held back from criticizing the United States. U.S. analysts have said North Korea appears to have restored normal operations at a long-range rocket launch site it had partially dismantled last year as part of disarmament steps. Trump, from the White House lawn before departing to tour tornado damage in Alabama, said he's a "little disappointed" by the reports of the new North Korean activity. "I would be surprised in a negative way if he did anything that was not per our understanding. But we'll see what happens," Trump told reporters at the White House. "I would be very disappointed if I saw testing." Satellite images taken weeks after the first Trump-Kim summit last year in Singapore had shown the North was taking steps to dismantle the rocket engine test stand and the rail-mounted transfer structure at the launch pad.